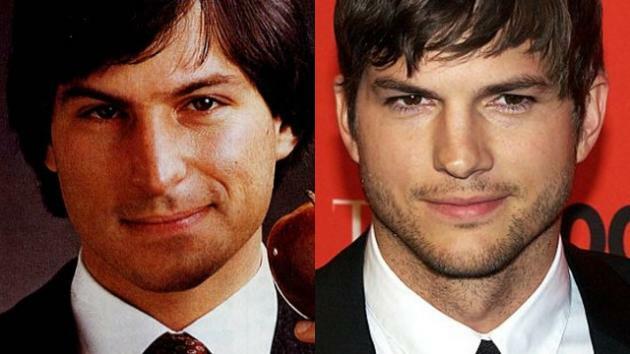 Bill Fernandez (employee #4) and Daniel Kottke, talked about the new Ashton Kutcher biopic on Steve Jobs. The two are part of Apple's earliest employees. Their conversation was transcribed at Slashdot. Fernandez says, "the whole thing is a work of fiction,". He didn't however see the movie. "I talked to Victor Rasuk, the actor who was playing me, and he would say, 'Well, did this happen?' and I would say, 'No.' And ultimately I understood that they were not trying to create a historical document, they were doing a dramatic piece. From those variety of hints or clues, I formulated the opinion that I’d probably be really upset if I saw it." Kotkke on the other hand, watched the movie and consulted a bit, saying "Well, Ashton’s very good. I have no complaints with him at all, no complaints with his portrayal of Jobs. The complaint that people would rightly have about the film is that it portrays Woz as not having the same vision as Steve Jobs, which is really unfair." He also says, "The early versions were painful. Really painful. I forwarded the first draft to Mike Markkula because they wanted his feedback, and Mike took such a bad reaction to it, he wouldn’t have anything more to do with the project. By the time it got to the fourth draft, it was okay. It wasn’t making me cringe. But they still had a scene of me arguing with Steve, which never ever happened, but, you know, in the realm of artistic license."